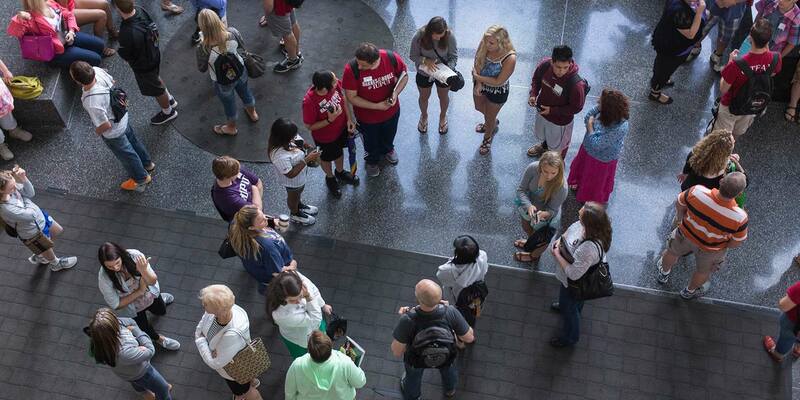 A group visit is the perfect way to introduce your school or organization to IUPUI. Group visits range from two to four hours, depending on the activities you choose. The standard group visit includes a presentation by the Office of Undergraduate Admissions and a campus tour. There are also optional activities during the day. Please allow a minimum of three weeks for us to plan your visit if your group includes 50 or fewer people, and a minimum of six weeks if your group includes more than 50 people. We schedule group visits on a first-come, first-served basis, and peak months—April, May, September, and October—fill up quickly. Before making a reservation, please review our group visit policies and procedures. To make a reservation for a group visit, complete and submit our online reservation form. A Campus Visits representative will be in touch with you to plan your visit. Registration is closed for spring 2019 group visits. We are currently accepting summer 2019 group visits for June 1st - August 23rd. Group tour reservations for the fall 2019 academic term will be available beginning July 1. For questions about group visits for grades K–8, contact Jennifer Zotz at 317-278-1312 or jzotz@iupui.edu. For questions about group visits for grades 9–12, college students, or alumni groups, contact Genevieve Arnold at 317-274-1597 or gearnold@iupui.edu.